Starring: Chris Pine, Ben Foster, Jeff Bridges, Gil Birmingham, and more. A gritty modern western sits beyond our eyes in the form of ‘Hell or High Water’ and gritty action is all we could want for this, right? Well, in some cases, I guess that is right, but in my opinion? That is all fine and dandy to me, I will take mindless action westerns for some quick entertainment any day, but as I would like to think, I want something a little more. Something engaging, something with a powerful story, just something more. So, now it is time to breakdown ‘Hell or High Water’ and figure out if an action-packed modern western is in the running for Best Picture at the Oscars or if that “something more” is in our hands. Two brothers must figure out a plan to pull money together to save their family ranch from being taken from them. These two brothers, Tanner and Toby Howard (Ben Foster and Chris Pine), decide to rob local banks and raise enough money to do so but not without two officers on their tail trying to catch them. Those officers being Marcus Hamilton and Alberto Parker (Jeff Bridges and Gil Birmingham). 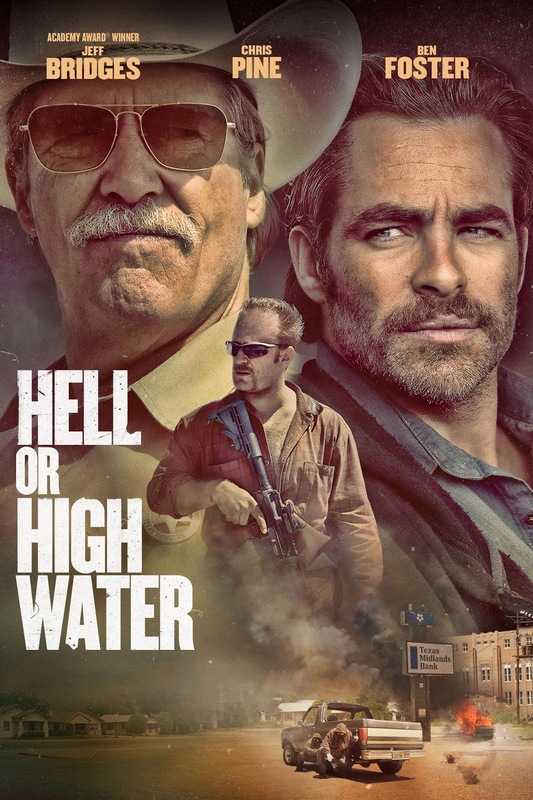 ‘Hell or High Water’ was an interesting view for me. Simply because I have heard reviews all over the board for this film. Some saying that this is the greatest film of 2016 and one of the best for modern westerns. I heard some say it was an alright film, nothing great nothing terrible. I also heard some say that is was horrible, boring, pointless, dumb, etc. You name it, someone said it. Now, with a Best Picture nomination, ‘Hell or High Water’ had to do something right to get that credential. Well, Oberrated is here to breakdown all of your confusion. Just kidding, but I am breaking this down my way… ‘Hell or High Water’ was great. As far as performance, story-telling, and fantastic memorable moments, it was a well-done and great film. I can not say one person had a bad performance here, not Ben Foster, Chris Pine, Jeff Bridges, Gil Birmingham, not one. Even down to Margaret Bowman who played the T-Bone waitress! This was a performance heavy film that transcended a dumb story-line when written on paper into an Oscar contender. (and I only say this because when I typed that summary section I realized, this is a dumb as hell story when typed out, just IMO. )… Now I can not sit here and say it is an all-time great and side with some friends who have said this was a 2016 best, maybe a top ten but not best. But I also can not say that this was a worst, and to those who have said it was a worst and was boring, they probably are the casuals who want a shoot’em’up film. But hey, everyone has their tastes, some just are simpler than others. So that is it. ‘Hell or High Water’ has tremendous re-watch value. It has incredibly memorable moments that I loved and simply fantastic performances that made this film what it is. Now, I can not say this has a chance at Best Picture, but that does not count it out as a great film. Highly recommended! Posted in 2016 Movies, Movie Review.Tagged Ben Foster, Chris Pine, David Mackenzie, Hell or High Water, Jeff Bridges.